Click "Register" and you will be able to select the corresponding registration option for which you are eligible: Member, Guest, or Youth. Online Registration is Closed as of January 31st. Admission will be collected at the event entrance. Please join us on Saturday! Learn more about the stars and planets with volunteers from the Alachua Astronomy Club who provide telescopes and expertise that make this great annual event possible. Enjoy a campfire while sipping hot chocolate & making s'mores. Take a hayride on the Prairie. Listen to live music provided by Vellamo, a folk duo from Finland. Bring along chairs and enjoy the warm glow of the campfire while sipping hot cocoa and roasting marshmallows for s'mores with your family. 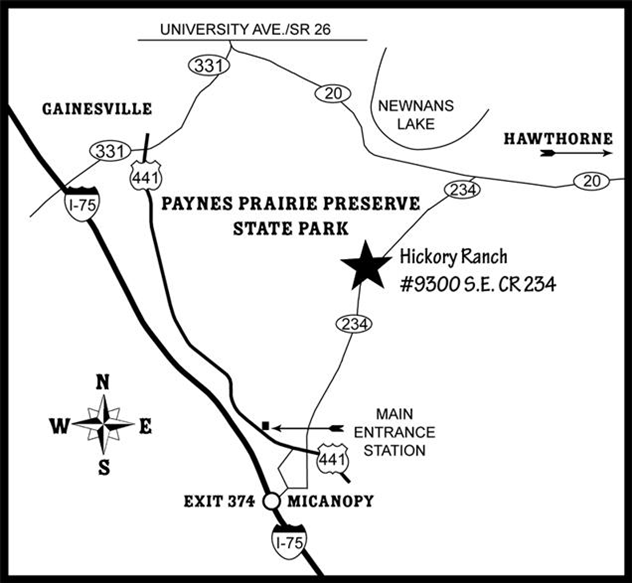 Take a hayride with the rangers or simply enjoy the beautiful Prairie atmosphere under the night sky. This event grows each year and is an annual fundraiser for the Friends of Paynes Prairie. This year's admission fee will include 3 tokens per person that can be used for the hayride, hot chocolate, or s'mores fixin's. Additional tokens can be purchased at the event for $1 per token. 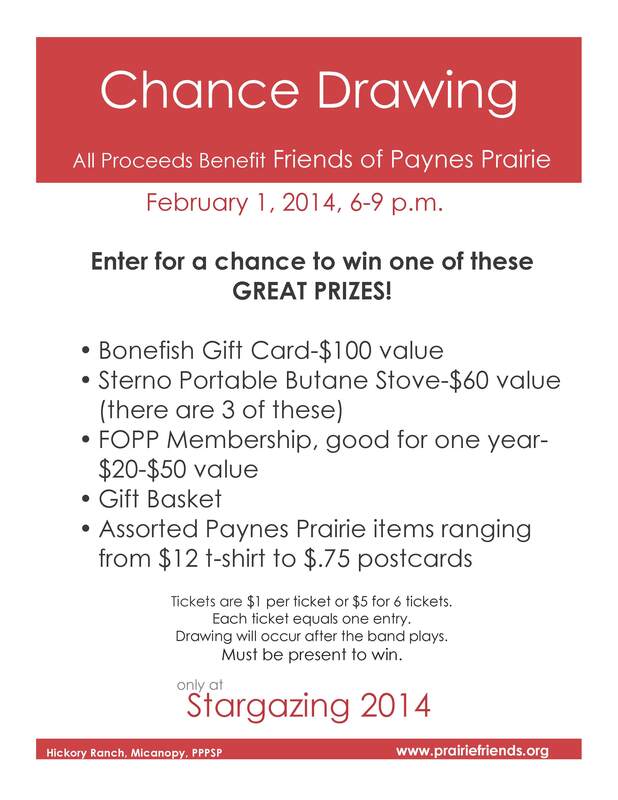 We are putting together a great Chance Drawing that includes a $100 Gift Card to Bonefish Grill, 3 Sterno Portable Butane Stoves valued at $60, a Friends of Paynes Prairie membership, gift basket, and assorted Paynes Prairie items. Tickets will be sold during the event for $1 per ticket, or $5 per 6 tickets. All proceeds go directly to the Friends of Paynes Prairie.